When other methods are not suitable, the face and arms can be “reinforced”, tightened and improved in volume and contour through the innovative technology of absorbable meso threads with a special “barbed” structure. The procedure is atraumatic with a phenomenal instant result with no recovery period. The effect lasts more than 24 months. Together with the lifting, stimulation of the collagen production is achieved, which makes the skin younger, luminous, with an even tan. The method is also used to reduce unnecessary volume in the abdomen area, to lift the buttock (achieves the effect of “Brazilian buttocks”) and loosed upper part of arms. It works perfectly for breast lifting. The improvement of the blood micro-circulation and the general refreshment of the skin provides additional beneficial effect. The meso threats are very thin, practically invisible and are designed to be implanted in the soft tissues. They are the latest achievements of the aesthetic medicine and are made of a special material that guarantees high tolerance and lack of allergic reaction. They are administered subcutaneously through special thin needles without leaving any needle stick injuries. The threads are made of polydioxanone, that is absorbed for about 180 days, turns into carbon dioxide and water, leaving behind only masterly sculptured features, stimulating the production of fibroblasts. The threats are certified by KFDA, CE, GMP, ISO. The dermatologist will decide during the pre-consultation whether there is no any contraindication for the procedure. 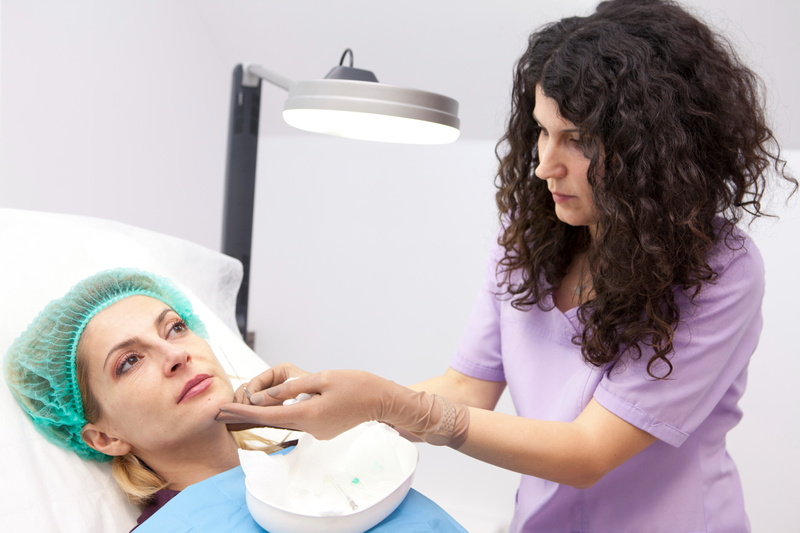 Dr. Valyanova and Dr. Vaneska are among the few officially certified dermatologists to work with 3D meso threats in Bulgaria and their long experience in anti-age procedures guarantees excellent results from the therapy.